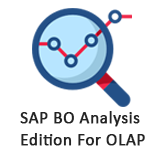 What is SAP BO Analysis Aggregations? To show totals and subtotals, select a Crosstab in an Analysis and navigate to Display tab → Choose Totals or you can also select a column in THE Crosstab on which you want to apply an aggregation. 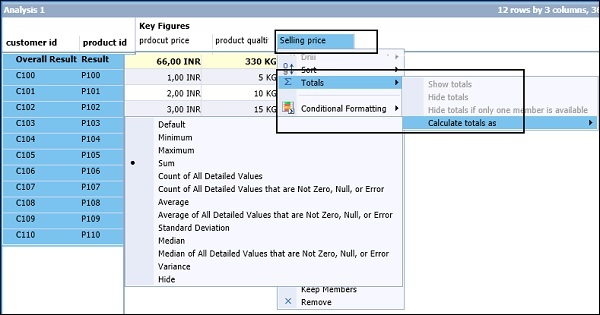 You can also alter the aggregation type by selecting Calculate Total As option. 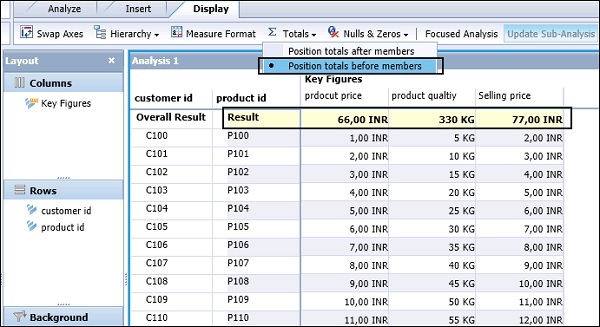 To put on the position of Totals, choose the Crosstab and click the Totals tab below Display. 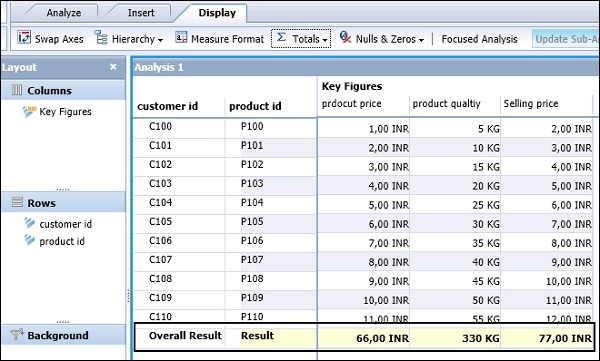 You have an choice to select the position of totals in your analysis. You can also place the totals after members from the dropdown list.